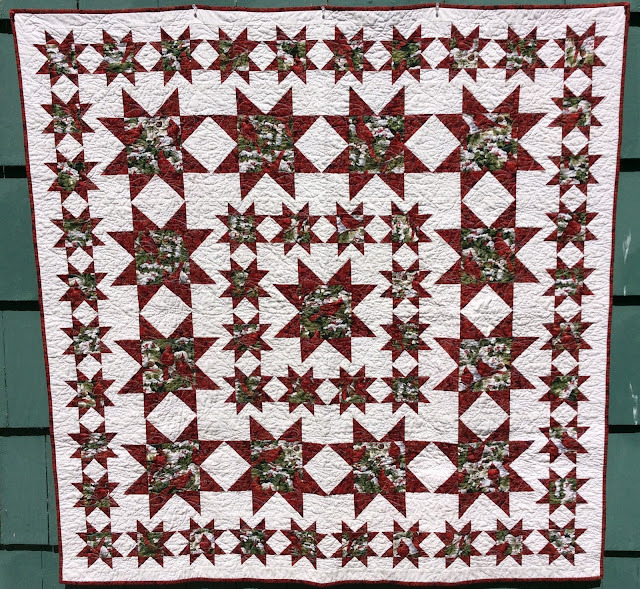 AlliKat Quilts: Cardinal Red Star Quilt - A finish and a winner! 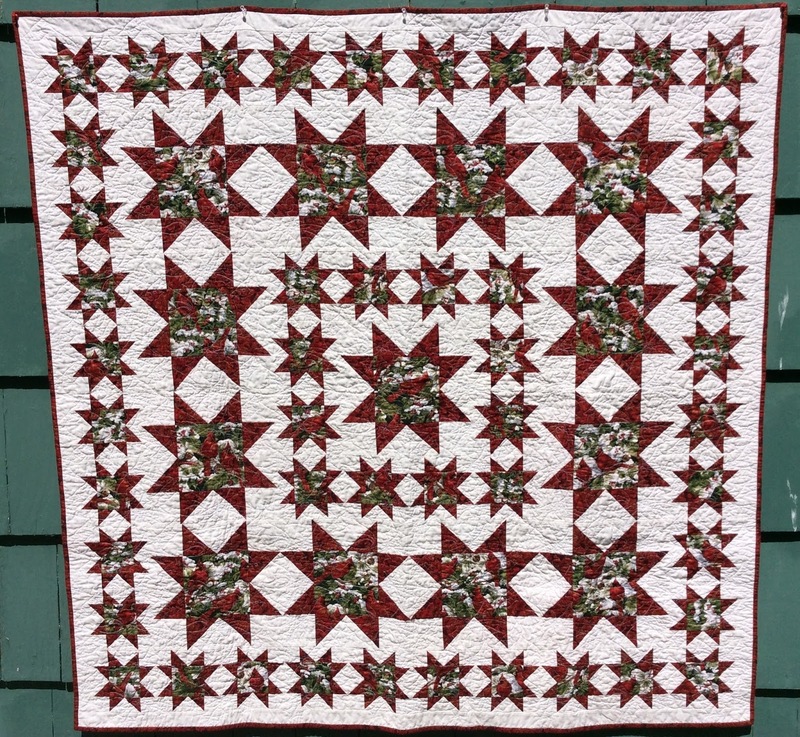 This quilt has been quilted for awhile, but I was waiting to blog about it until I had the label on it and until it was entered into the viewer's choice Star Quilt Challenge at the end of season dinner of the Mayflower Quilters' Guild. I still don't have the label on it.... but the Star Quilt Challenge was last night and I won first place and a gift certificate to a local quilt chain!!! Now I will have to be sure to make a label and include that information as well. 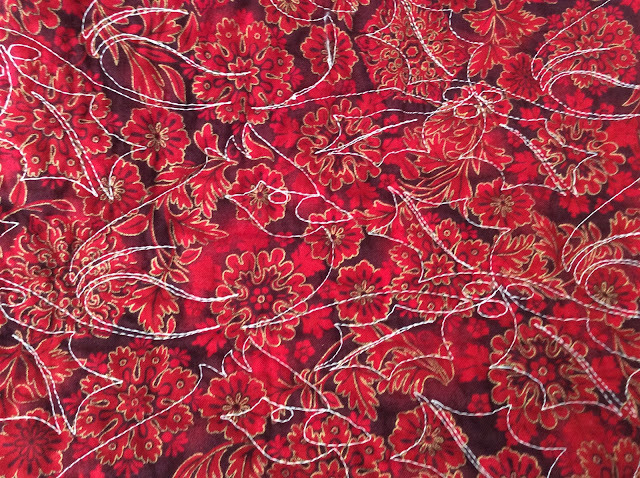 Here is a full view of it which shows a bit more of the texture. And a close up of one of the fussy cut cardinal blocks. I fussy cut the large blocks but not the small ones, although a lot of them did end up with a good portion of a cardinal on them as well. 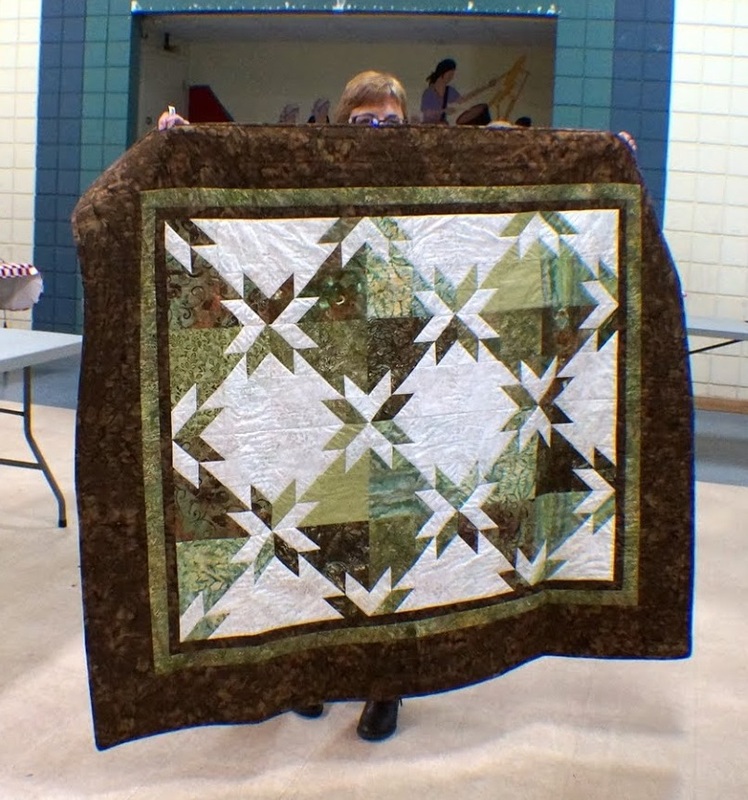 Here is a close up of the quilting on the back so you can see the details. 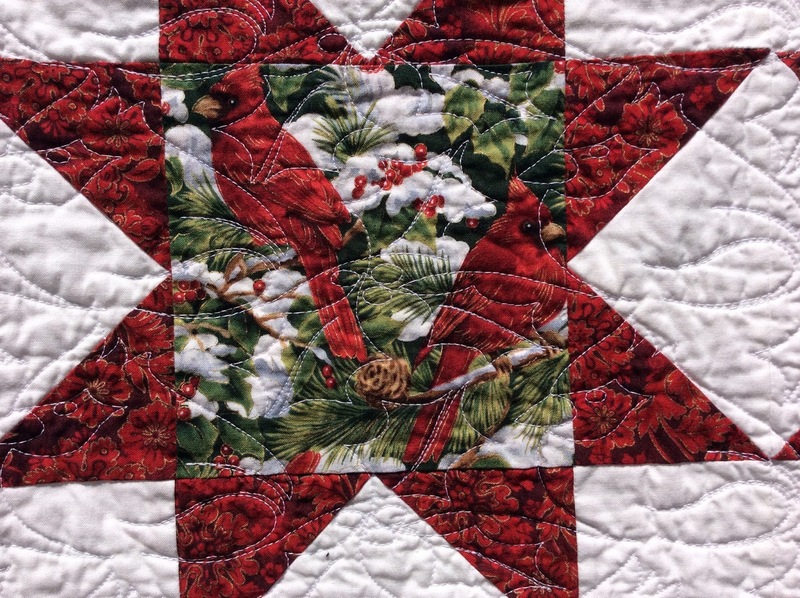 Of course, I had to quilt it with cardinals and used "Christmas Cardinal" by Sarah Ann Myers, digitized by Patricia E. Ritter. I am linking up to Crazy Mom Quilts for Finish it up Friday. First place!!! YEAH, that calls for some serious celebration. 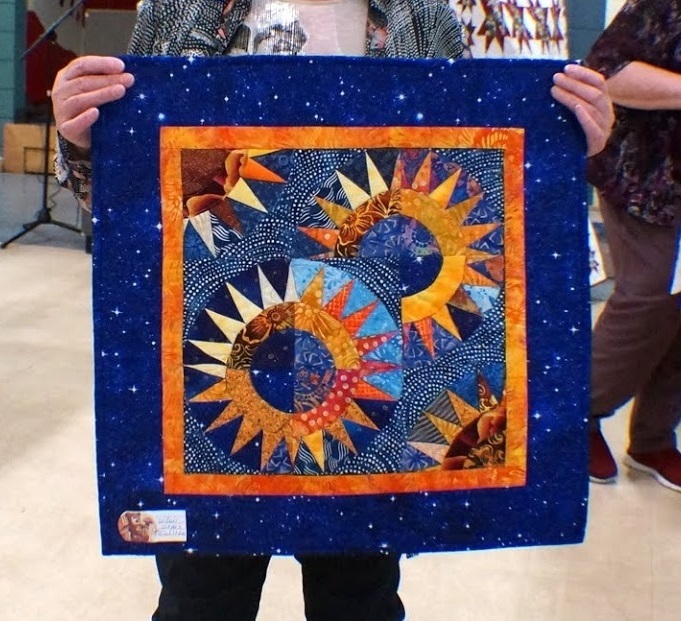 You poured so much care and attention into this design and quilting, I am not surprised that it won first place. Bravo!!! Your quilt is such a beauty! It's just lovely! Congratulations on the win. Congratulations - such a thrill for you!! 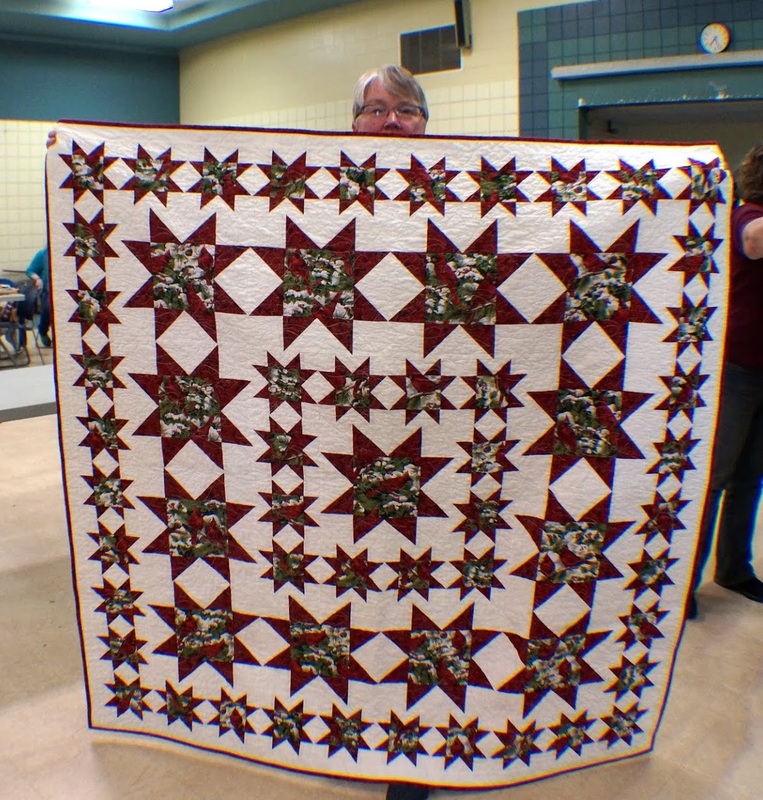 It certainly is a beautiful quilt.